Become acquainted with the nature of the Pallas-Yllästunturi National Park and its wide range of hiking possibilities. 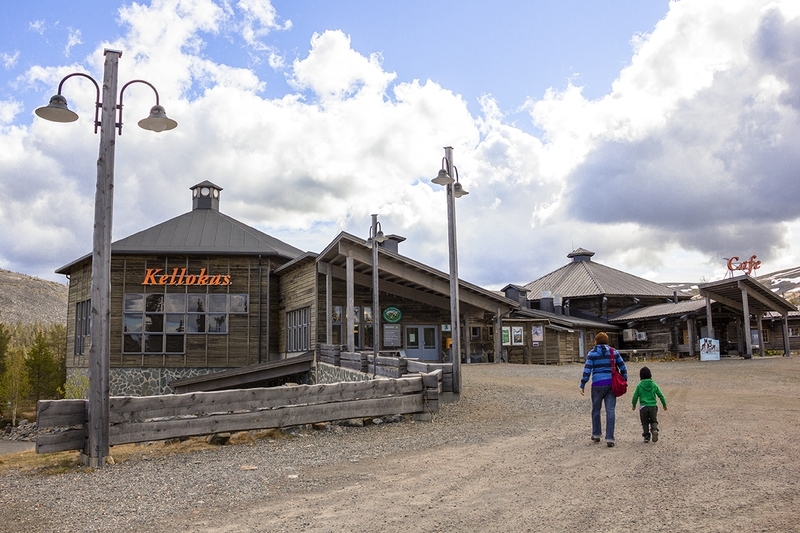 At Kellokas you will find Café , Kellokas Gallery, the Ylläs Travel Association and Ylläs tourist information. 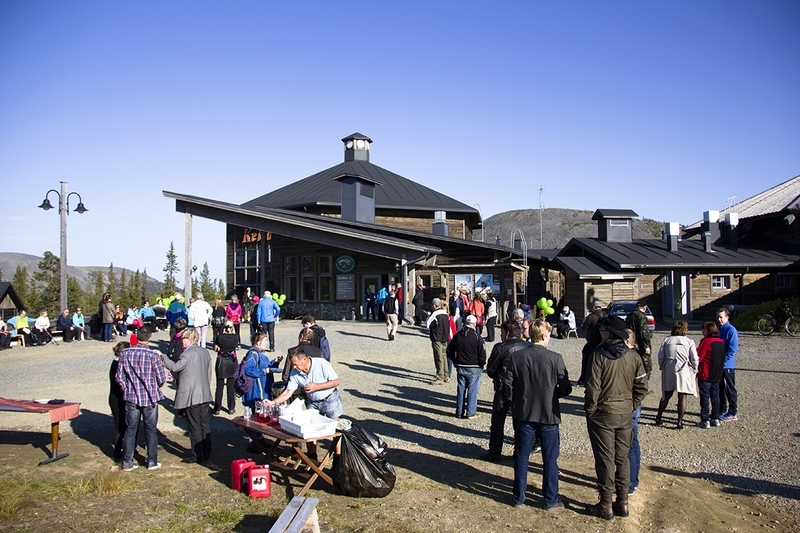 Kellokas Visitor Centre at Äkäslompolo is one of the three Visitor Centres in the Pallas-Yllästunturi National Park. Find the nature of the National Park and its wide range of hiking possibilities. In the shop you will find maps of surrounding areas, books, local handicrafts and other products. 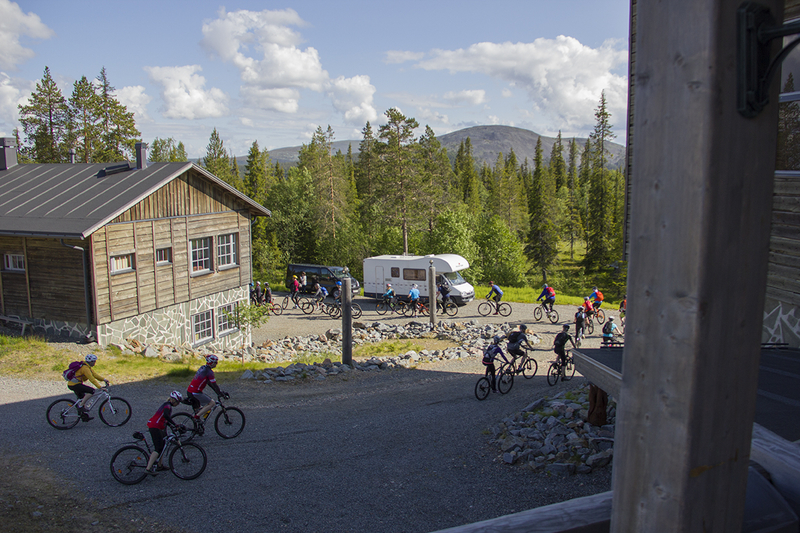 At Kellokas you will find also Café, Kellokas Gallery, the Ylläs Travel Association and Kolari municipality’s Ylläs tourist information. Kellokas Visitor Centre in Kolari was expanded into a nature and cultural centre. The development of the area’s culture has always been tied to the area’s natural environment and the possibilities it provides. This relantionship between nature and culture is the main theme of Kellokas Visitor Centre’s permanent exhibition. 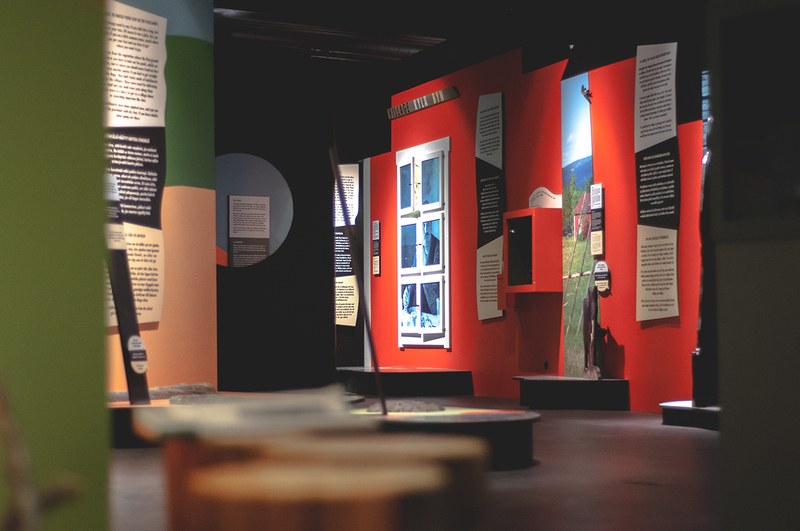 The goals of the exhibition are to bring new insight to how dependant people are on nature and for visitors to apply what they learn to their everyday lives. The richness of the area’s culture can best be seen from the lively, colourful Meän-language spoken on both sides of the river. Today the language is very expressive and it is held in great respect and there is a good deal of support to keep it alive. We arrange a variety of exhibitions and other events at Kellokas Visitor Centre. Kellokas Gallery is an art gallery run by Artists´ Association Of Lapland. 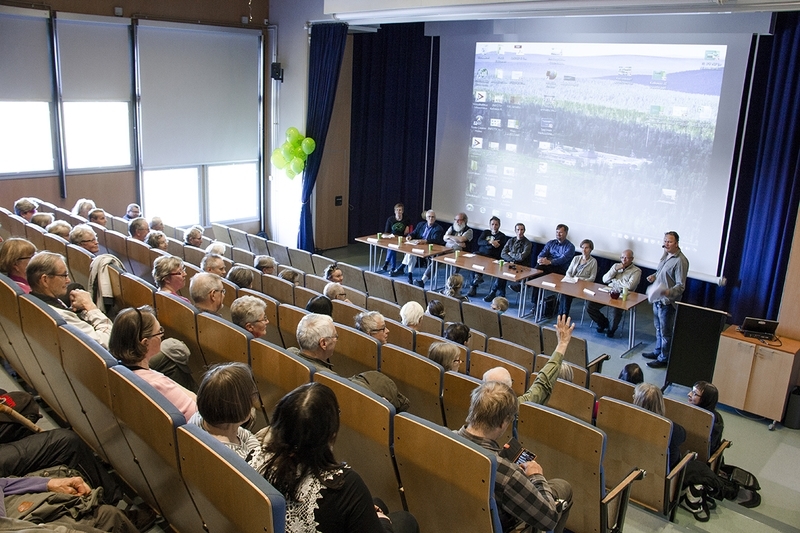 Kellokas offers conference and congress services all year round. 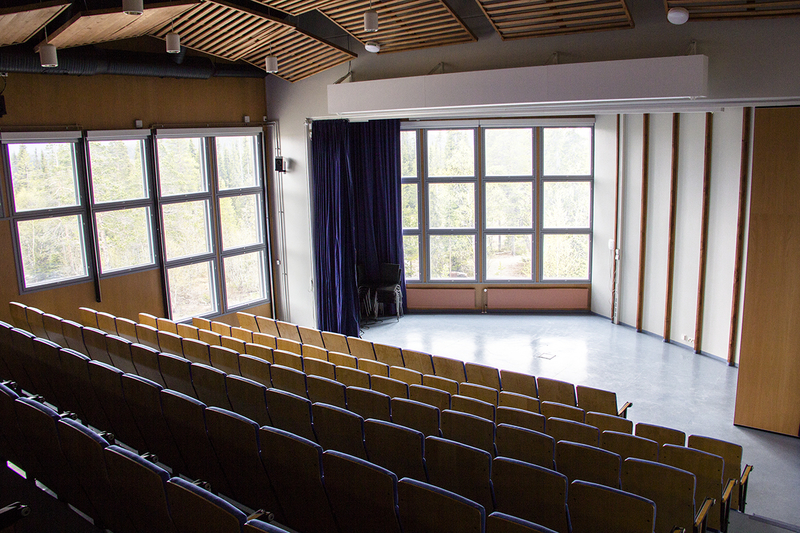 Kellokas has an auditorium which seats 134. 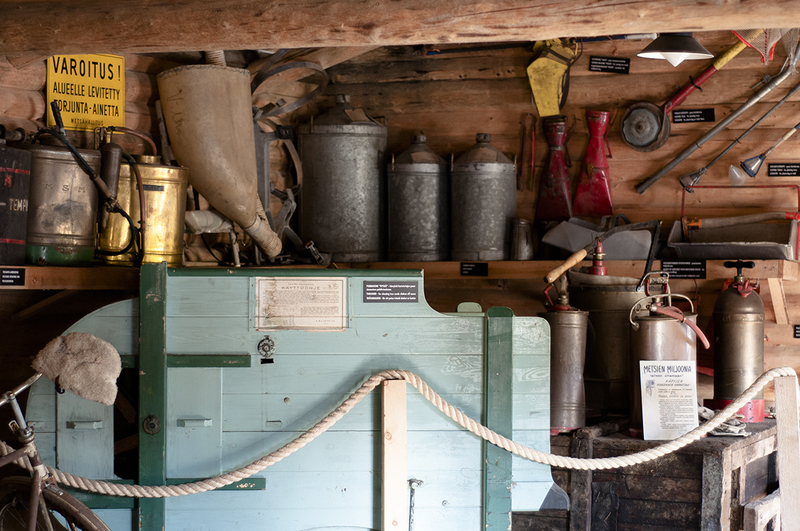 The logging museum situated in the Visitor Centre’s grounds offers the opportunity to become acquainted with the life of a logger. Visitors can access the Varkaankuru nature trail and Ptarmigan’s round in summer from Kellokas’ yard. Also ski trails can be accessed from there. Café welcomes you to have a warm cup of coffee in the best views to the fells! Janne Maikkula art exhibition 14.1.- 9.3.2019. Gallery is open Mon-Sun 9am to 5 pm. Once again, the local stallholders will gather in the Visitor Center and sell their unique and traditional handicrafts of the region. Local musicians will guarantee the original logging site ambience. On Saturday and Sunday, the visitors will be able to follow show sawing, woodwork and spinning performances and get to know how the work got done in the old days. Welcome!